While I was pregnant, I dreamt of all of the food I was going to inhale the minute this kid came out of me. Sushi, whiskey, medium rare meat, fresh pressed unpasteurized juices, there was a very long list. However, when push came to shove (see what I did there?) and I gave birth to my little terror bundle all I craved ravenously was Doce Provisions. 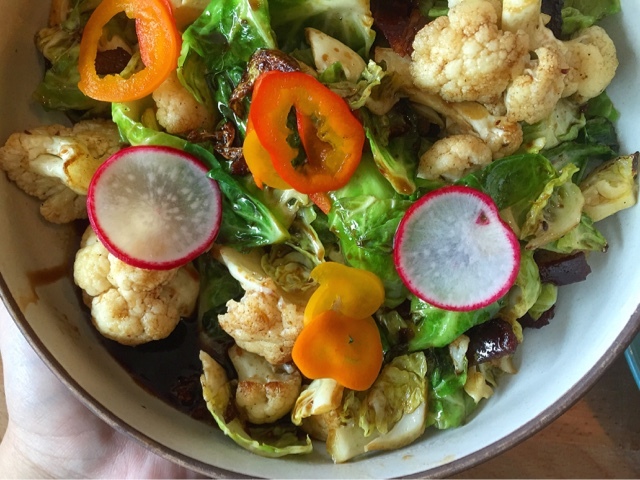 I tried the food at Doce Provisions about two weeks before going into labor and I could not stop thinking about it. I was enamored with how delicious all of their food was, impressed with their presentation and obsessed with their low prices. This place was the embodiment of the Spanish "3 B." For those unfamiliar with the "3 B," it stands for bueno, bonito y barato roughly translated to "Good, Pretty and Cheap." After a few visits, I don't know which appetizer I like more or if I love them all equally. There has definitely been a visit or two where I've just ordered several appetizers and stuffed my face without a care in the world. 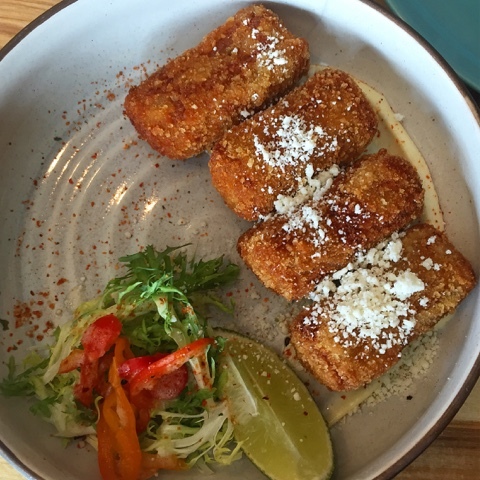 Their chorizo croquetas are delicious; they come with a creamy aioli of sorts and the very necessary lime wedge. I could easily eat 4 orders of these and call it a well balanced meal. Their Crispy Brussel Sprouts with cauliflower are cooked up the only reasonable way to eat these healthy veggies... with bacon. 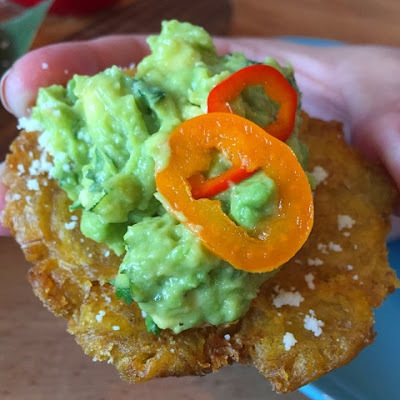 Their guacamole is made fresh to order and served with piping hot tostones for a fun variation on this Latin snack. Talking about fun variations, Doce took Asian bao buns and stuffed them with lechon asado, carrot habanero and grilled pineapple confit. Pero like, they're fantastic. They're disco truffle fries are also not to be missed with their short rib gravy and home made American cheese sauce. Although I've only had two of their sandwich options, I love them. Their fried chicken sandwich is easily one of the best in the 305. 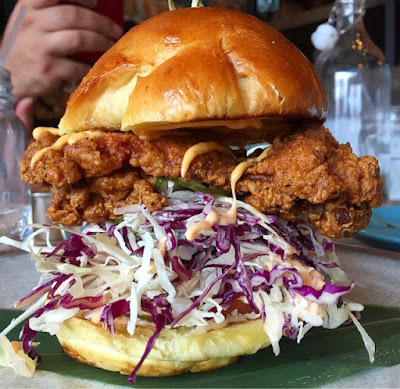 It's a slab of crisp buttermilk fried chicken with country slaw, pickles and chipotle aioli. It's straight fuego. 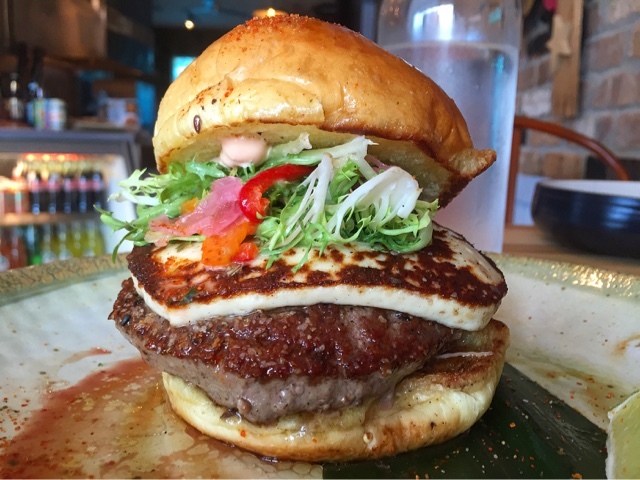 Their short rib burger is a sight to behold. It towers over the plate and stuffed with queso frito, truffle aioli, pickles, tomato and frisee. Although delicious and flavorful, I found the burger to be a little too greasy for my liking. Irregardless, it's something that I would definitely get again if I had someone to split it with me. I've also tried a couple of their "family meal" options, code for larger, heavier meals. 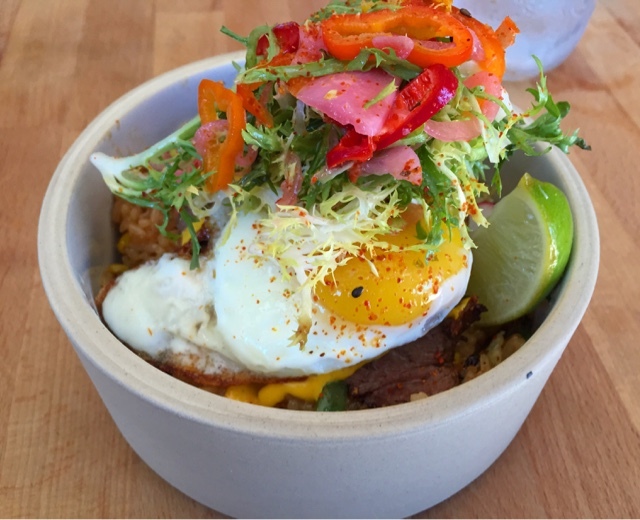 Their Steak and Eggs comes over some freshly made fried rice and topped with frisee and pickled peppers. The steak was tender and the egg was sunny side up (the only reasonable way to eat fried eggs). 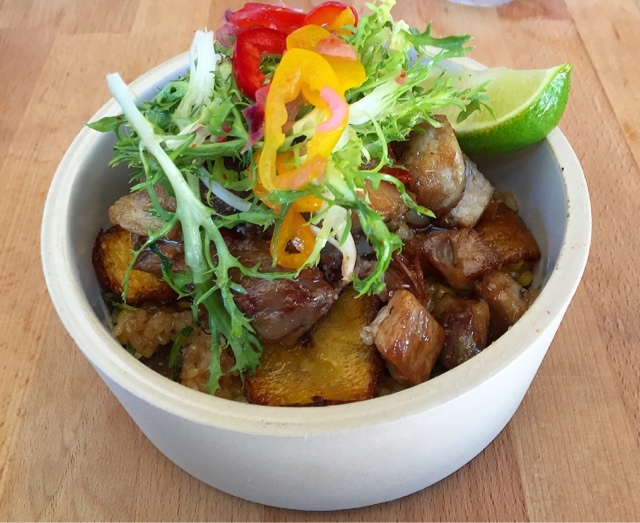 Their Masa De Puerco Chino is fried pork chunks, fried sweet plantains over the same fried rice served with the streak and eggs as well as frisee and pickled pepper garnish. I would've loved to have tried a different kind of rice for the steak and eggs for some added variety, but both dishes were delicious and unlike anything else you'll find in Miami right now. 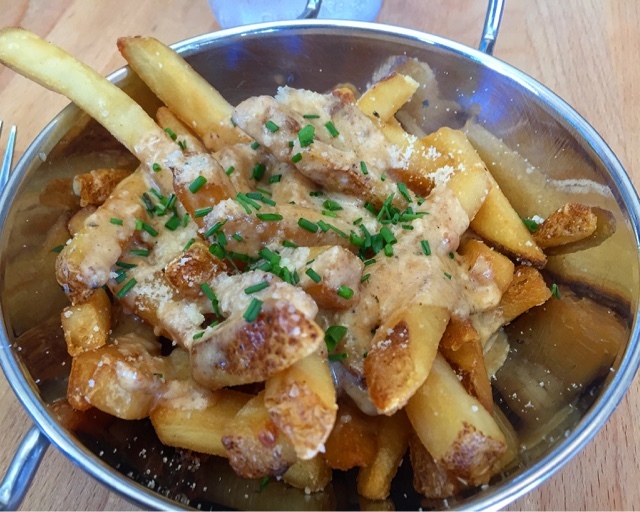 This place has quickly become my go-to when I want something delicious and price conscious. Their sandwiches are all under $11 and are a great value considering the size of each sandwich. Their apps are all under $8 and their large personal plates average $15. I've never spent more than $30 during any given visit and always leave feeling full and happy. My only real gripe about their food is that many of their dishes come with the same exact frisee and pickled pepper garnish, but that's something that can easily be removed from any dish. There is limited seating inside so trying to with a large party will be an issue, however they do have outdoor seating as well. 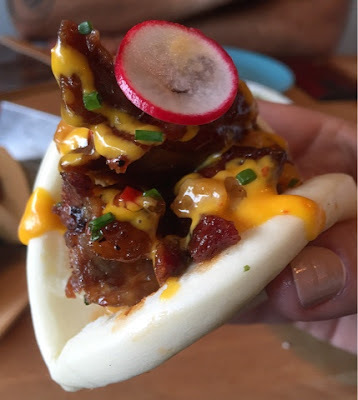 The service has always been attentive and inviting If you're looking for great food that's plated like a high end restaurant but with the price tag of a fast-casual joint, then this is a must visit!